He graduated with an electrical engineering degree from San Jose State University.he entered Stanford Business School and earned his MBA in 1991. He joined Google in May 1999, leading the development and implementation of the company’s initial business model.His efforts together with those of others, have transformed the world’s top search destination into online advertising’s hottest property — scoring more than 100,000 advertisers in just 18 months. 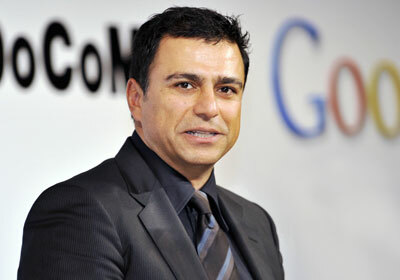 In the May 8, 2006 issue of Time Magazine, Kordestani was named one of Time’s “100 People who shape our world”. He was selected as The Persian Person of the Year in 2007 by Persian Awards. Kordestani is one of the founders of PARSA Community Foundation, a Persian heritage, entrepreneurship and philanthropic society. This entry was posted in Business and entrepreneurship and tagged charity, Iranian-Americans, Philantropy. Bookmark the permalink.